The Founders of Rubbix Risk & Wealth Management were influenced by two truly amazing women throughout their life(their mothers). 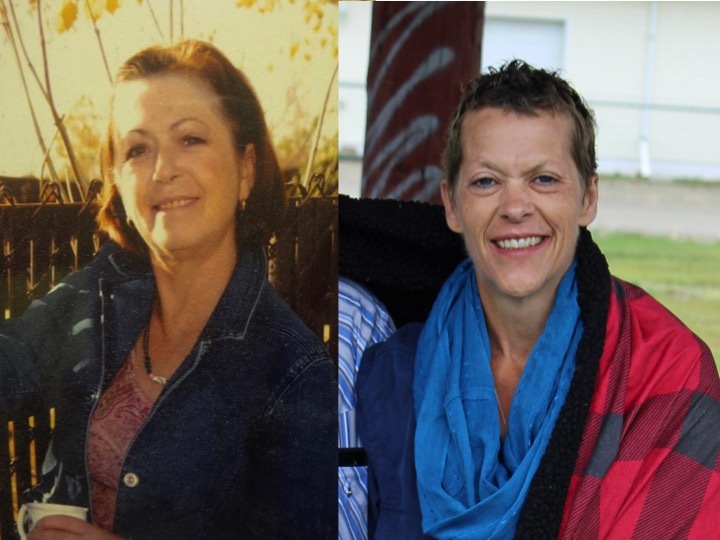 Both suffered from separate illnesses and passed. Their wisdom, skill, and enthusiasm live in their sons who have built Rubbix from ground up into the growing success they are today. Financial Planning is a passion for them as they have seen first hand how much of an impact a proper financial plan can have on someone. Rob is a big part of his Grandfather's Rotary Group, HIV North, and other various community causes. You may find him singing at events in town as well. Mitch plays a role in the local MS society advisory board which Grande Prairie was ranked 5 years in a row as the top fundraising location in Canada for the annual A&W Burgers to Beat MS. 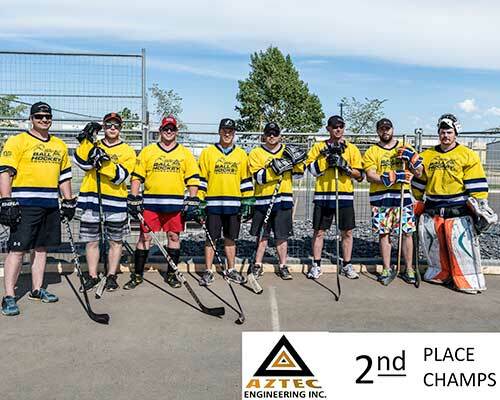 The Rubbix Puzzlers were out on the hot summer day in the Aztec Engineering parking lot saving shots and scoring goals in this event that had an amazing turnout. We are extremely fortunate to have been able to put in a team. 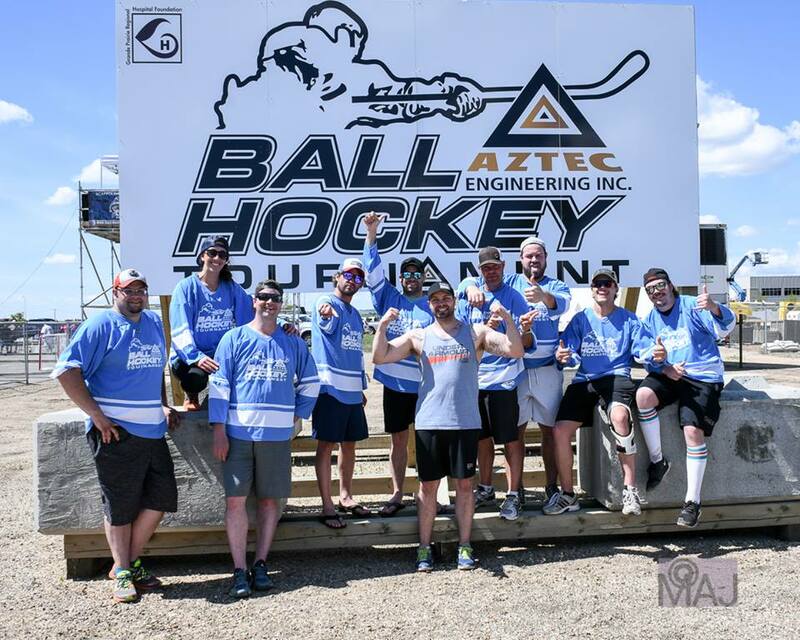 All money raised went to the Grande Prairie Regional Hospital which came to just over $60,000 for the event in one day. We are excited about next years tournament. Rubbix Risk & Wealth Management teamed up with the Grande Prairie Hospital Foundation to bring the very first annual Rubbix Revival Charity Concert. 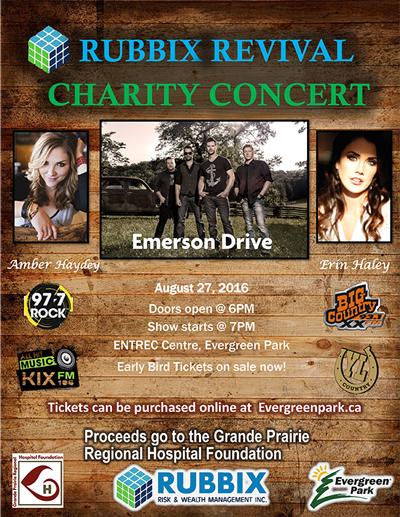 We had some amazing local artists like Emerson Drive, Erin Haley, and Amber Haydey perform live August 27, 2016. We, unfortunately, didn’t reach our goal, but we are planning on holding another event in the near future. The hospital has been a big part of our lives whether it is an injury, illness, birth, passing, or surgery the hospital and staff are there to make your life not only as comfortable as possible but to protect you. We are fortunate enough to be getting a brand new hospital in our city to which we are thankful for.